Do you want to get healthy and feel amazing? Maybe lose weight, get organized, or reduce stress? How about finally getting a good night’s sleep to wake up feeling energized and excited about your day? If so, you’re not alone! Who doesn’t want to be healthy and feel great?! But how exactly? Well, that’s where I come in! I’m here to help you make the changes you want, to live a life you love! Think of me as your BEST SELF Bestie! When it comes to creating lasting change, you may or may not know what it is you need to do. Or, you know exactly what you need to do, but you just can’t bring yourself to do it. So you don’t. Or you do, but your motivation has the shelf life of a dairy product! Either way, don’t worry. The good news is, you’re here! You’ve found me and I could not be more excited to help you reach your goals! When it comes to helping people create change in their lives, there’s simply no one else out there like me. I have a powerful combination of what I refer to as my 3 E’s, to help you live a life you love. I have the Education, Experience and Enthusiasm necessary to help you achieve your goals. I learned from the best. My graduate level training is from world renowned medical care, research, and education institute, Mayo Clinic. I studied atMayo School of Health Sciences and am a Mayo Clinic Certified Wellness Coach. I also have a certificate in Living Healthy With Chronic Conditions from Stanford School of Medicine. My Life Coaching Certification is from legendary authors and pioneers in personal development and psychology, Anthony Robbins and Chloe Madanes. All of this is in addition to my Bachelor of Science in Health Education, and Master of Health and Safety, from one of the top schools in the nation for education, The University of Minnesota-Duluth. I’ve been a leader in my field for over 20 years. I have personally trained over 30,000 people across the U.S., Europe, Asia and the Middle East. I’ve had the privilege to coach people privately, and have been asked to deliver talks and training to workers at leading agencies, industries and institutions including AT&T, Motorola, IBM, Caterpillar, Raytheon, Intel, Samsung, The University of Michigan, The United States Environmental Protection Agency (EPA) and more. I also make regular appearances as a content expert on local and national television and radio. I love what I do and it shows. Whether on air, coaching one-on-one, in a classroom, or on stage, my energy and enthusiasm is contagious. Combine that with my naturally positive personality and you have exactly who you need with you on a journey of change. My clients not only get results, but have fun along the way! I started working with Berta some time ago on a journey of weight loss and a healthy life style change. To date I have lost a total of 73 pounds!!! I started at 273. With Berta’s weekly coaching sessions of useful tools and a ton of encouragement, she helped me succeed in a goal to a better and healthier life style change. I have had a few set backs, but with Berta’s check in and positive attitude, she helped me realize that my journey can continue. With her help I have decided to take it further to a goal of 195 and then maintain with my new lifestyle change. The last thing I would like to add is Berta made this easy because you get the sense she truly loves what she does and indeed has the heart of a teacher. -Mato G.
First of all, please know that I meet you where you are. Whatever stage you’re in, that’s where I’ll be! If you’re struggling, I’m there! If you’re chasing dreams, I’m there too! Each person I coach comes to me in a different phase of their journey. Each has different dreams, goals and visions. And they come to me for a variety of reasons. Some feel stuck, some unable to start, and some have already achieved success and want to take it to the next level. Wherever you may be, I’ll meet you there! 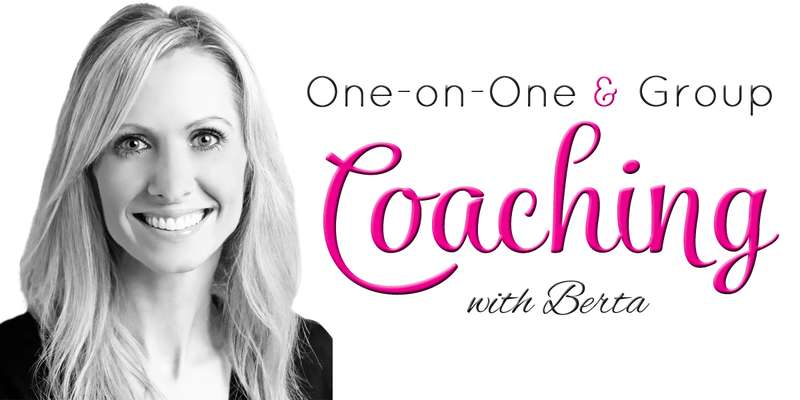 We’ll meet one-on-one each week via the phone for your exclusive coaching session. We’ll start by assessing your current situation. I’ll help you get clarity on both where you are now, and where it is you want to go. We work together to determine your values, strengths and desires. I use proven tools and processes such as the Mayo Clinic Coaching Model to transform your values and desires into action that lead to lasting change. Are you ready to STEP INTO YOUR MOMENT? 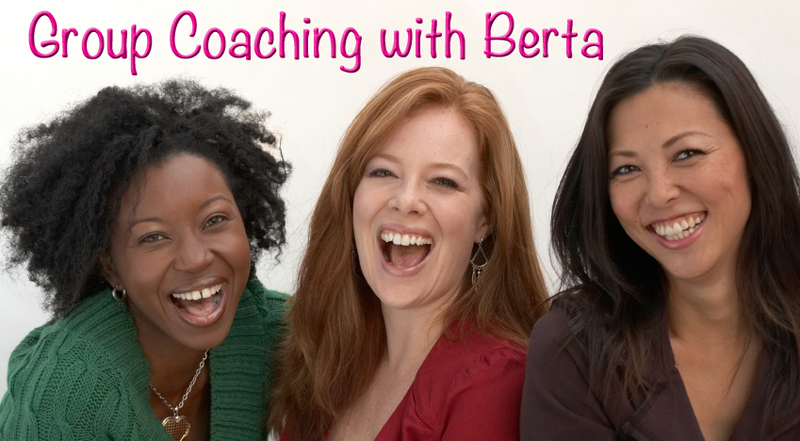 Each week we meet for 45-60 minutes via the phone for our coaching session. This is your time where we focus 100% on YOU and your dreams and everything it will take to get you there. A lot of growth takes place in these sessions that are packed with insight, inspiration, self discovery and motivation. Accountability is one of the biggest reasons people seek my help. They want to learn how to be accountable to themselves and the life they’d like to lead. I’ll show you how by being your Accountability Partner. I keep you on track and focused on the things you need to do to achieve your goals. Do you ever wonder what’s driving your behavior? Why you keep repeating certain behavior you know doesn’t serve you? Or how to experience more joy and the things that light you up? Included in my coaching programs are personalized assessments developed by leaders in the industry that will amaze you! These alone create breakthroughs for my clients with behavior they have been struggling with for years! Your privacy is a top priority for me. This is your safe space to discuss what you need to to help you grow and move you in the direction of your dreams. I am a stickler on privacy and keep what’s said in our coaching sessions completely confidential. In between our sessions you will have access to me via email. If you’re feeling stuck or unsure about something, you won’t have to wait until our next coaching sessions. Simply send me an email and we’ll get you back on track! It’s also a great way to share your successes with me during the week! Since I only coach a limited number of clients each month, as a current client, you will have the first opportunity to extend your coaching contract to secure my time for the following month. Group coaching is where you grab your best friend or two (limited to up to 3 people total), and are coached together! It works like the one-on-one coaching detailed above, minus the personalized assessments and email access. With group coaching, we meet together as a team and approach the process with a built in accountability group! The cost of coaching is divided among the group members. Before you decide to work with me, there’s one thing you should know. My coaching is designed to help you create a life you love. A lifestyle you can sustain. I DO NOT offer quick fixes, magic pills or an easy ride. Do I believe change can be easier than people think? Yes. But it’s not easy. You can not expect change to happen overnight or to be completely painless. Change is uncomfortable. But I’m here to get you through that. Because once you do, and come out the other side, you’ll be living a life you love. You will be operating at your BEST accomplishing things you once only dreamed of. This takes commitment, effort and time. You have to be willing to do the work. I’m interested in YOU. And you being happy and healthy and living a life with purpose and meaning. So it’s very important to me to be sure you have the right expectations about what it takes to get where you want to be. If you’re ready to work, I’m your girl! My clients get results, not empty promises. To apply for the program, click the button below to contact me. If you’re interested in coaching with me, CLICK HERE to contact me. I look forward to working with you!